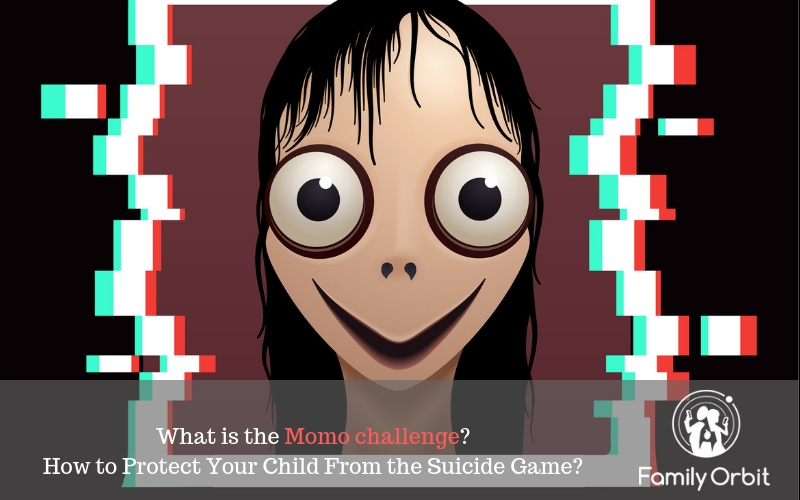 The Momo Challenge is the latest harmful Whatsapp “game” that is viewed as the potential next Blue Whale Challenge. Those involved in the Momo suicide challenge app are encouraged to do a number of activities that disrupt the sleep schedule, cause mental and physical harm, and can lead to pressures to commit suicide. Because the game is through Whatsapp, it’s often hard to monitor your child’s online activities. However, you need to know what your children are doing with their phone to make sure they’re doing age-appropriate activities. There are apps out there that will allow you to monitor phone usage. You can also encourage children to talk to you. If they feel safe in talking and don’t feel like they’ll be judge, they’re more likely to open up about any unsolicited, scary messages they’re receiving. Don’t be afraid to bring up this game. Talking about it will help to raise awareness of the dangers behind the game. You’ll also open up the communication so your children feel safer talking to you if they’ve had messages encouraging them to play. A lot of the game focuses on peer pressure and that can certainly be difficult to stand up to. Children worry that it will lead to bullying in and out of school. This is a topic that you need to discuss with your children to help keep them protected from the Momo suicide challenge app. It’s also worth talking to other parents about this. You can all discuss any similar activities children are getting up to, worrying behavior that you’ve noticed, and other signs that they may be playing the game. Always watch out for how your children react and any sudden changes in behavior. Too often parents put changes in behavior down to hormones. However, the changes are signs that something isn’t right behind closed doors. Look out for signs of irritability, moodiness, and even anxiety. Children may be worried about phone hacking or threats because they don’t play the game or in case they tell their parents. As children play the game, their mental health suffers and that leads to erratic behavior. Secrecy and anxiety can lead to suspicious behavior. You may also notice a lack of interest in studying, failing grades, and some physical changes. The Momo suicide challenge app can encourage some self-harm, which may lead to a change in clothing to cover up any self-harm marks. As a parent, you always need to be a step ahead of your children. This isn’t always easy. After all, games can do the rounds long before you know anything about them. It can take the deaths of numerous teens before parents truly understand the correlation. That’s why it’s so important to be vigilant. Make sure you’re up to date with the latest internet crazes and fads. Watch out for the games that are doing the rounds and make sure they’re safe for your children to play. When you learn about the games, you’ll also learn about the signs that other parents have spotted. You’ll understand more about what’s going on psychologically, as well as physically. This can make you more away of behavioral changes sooner, so you can put a stop to the games immediately. Finally, it’s time to install parental controls. There are apps like Family Orbit for this, but you can also set up your own parental controls in the house, including the rule that games and internet use is in a safe family area. Other rules include not having the phone overnight in the room or showing internet and phone history. There is a fine line between protection and privacy for your children, so the stricter rules will depend on past habits. Start with smaller parental controls, including minimizing screen or phone time during the day. This can help to minimize the risk of games like the Momo suicide challenge app becoming an issue in the house. Apps can also help to cut off access to the internet, which cuts off access to Whatsapp and other apps these games do the rounds. Keep the communication with your children open and always look into what your children are doing with their phones. This will help you stay ahead of the latest internet crazes and keep your children safe from the likes of the Momo suicide challenge app.